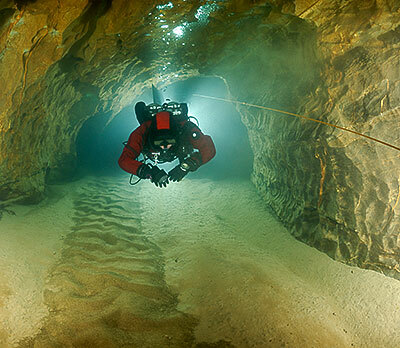 Quite possibly the most scary-looking in all of the diving sport is the idea that you will have to leave behind the light of day, enter a dark, enclosed space of a cave and dive underwater to explore it. Of course the reality doesn’t have to be quite so dramatic. Still, the risks are quite clear even to a casual observer who’s had no experience with diving: You can get lost. You can come across something unexpected which will throw you off or even pose a threat. You have to manage your gases carefully. But, most of the time, you will simply see what most people never get to see with their own eyes, and you’ll enjoy yourself while doing it. Cave divers are without a doubt a specific sort among other divers. Many of them did not really start off by getting interested in the sport itself, instead they began as regular caving enthusiasts whose curiosity simply led them further than others. 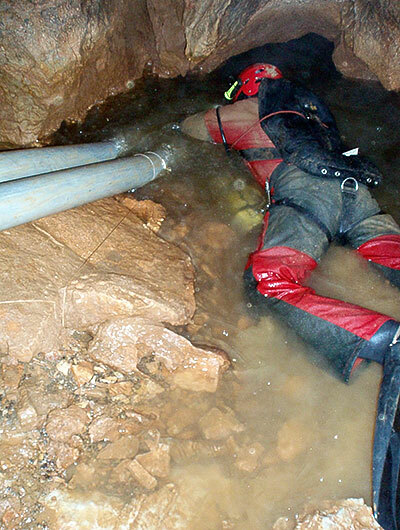 The term “cave diving” is therefore used both for entering cavernous structures under water and common caves with lakes or even rivers inside them. 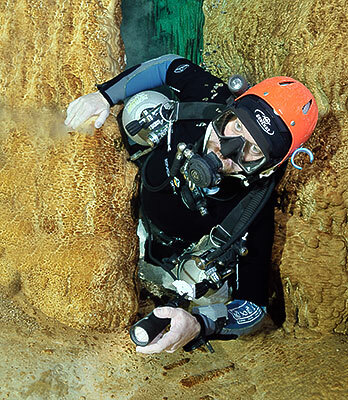 Cave diving doesn’t necessarily bring you into the dark and away from sunlight. Many people start with so-called cavern diving, which is essentially a safer version of cave diving, focused more on caves that are smaller and easier to access as well as escape from in the moment of crisis. It’s always a good idea to start with less challenging dives and gradually move to the riskier ones. More than ever, the diver has to know their limits and respect them. 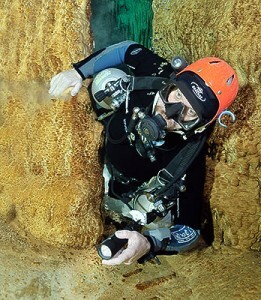 As you would probably expect, cave diving does require certain equipment nad techniques that might not be commonly used in recreational diving. Since visibility becomes vital in confined underwater spaces, each diver should have several independently powered sources of light at their disposal. The most experienced diver who serves as the group leader also uses line to mark the route for return (unless the cave already has fix lines). Remember, it’s very dangerous to try cave diving by yourself and without proper training, because even a simple dive can become life-threatening very quickly if you have nobody to help you. Beginners as well as expert divers need the right diving gear they can depend on. While you plan your next adventure, let us take care of the technical part and provide you with the best equipment. Our Dare To Dive online store offers our own brand of wing systems, harnesses and backplates as well as assorted components and accessories.